Summer is a busy time for gardens, with barbecues, family gatherings, kids’ play things, and all the associated equipment and furniture. When things slow down in autumn it’s hard to know what to do with all that outdoor stuff to keep it tucked safely away and in good condition. No one wants to see paddling pools gathering moss through the winter months. It’s a chore, but far better to give everything a good clean before putting it away than face cleaning it next year when you get it all out again. 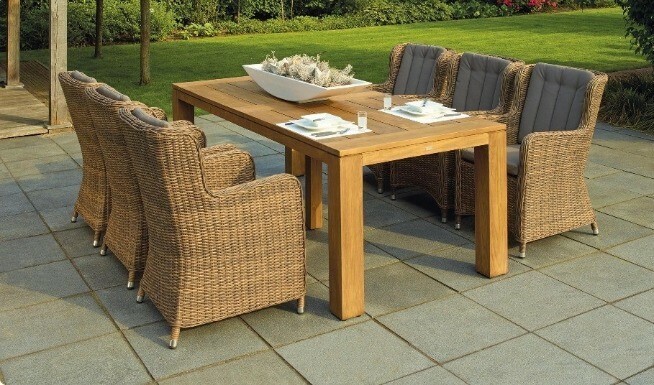 Outdoor furniture – brush all the loose dirt and dust off wicker, rattan, bamboo, cane or willow furnishings before washing everything down with warm soapy water. Rinse off with the garden hose and let things dry completely before weather-proofing it and packing it up. You can clean ordinary wooden furniture with sugar soap, and plastic furnishings will cope with just about any kind of cleaning. Coloured plastic can discolour or fade if it’s left outside, so store it somewhere under cover. Toys – any outdoor toys and games, especially those used with water, can quickly become covered in mould or moss if they’re not completely dry before you put them away for the winter. Soft furnishings – remove any covers and run them through the washing machine after checking they’re washable. Try sponging loungers with warm, soapy water to remove the worst of lotion or oil stains. Dip small cushions that don’t have removable covers in a bowl of soapy water to remove surface dust and dirt, then hang them up to dry. These things are expensive so they’re worth looking after. 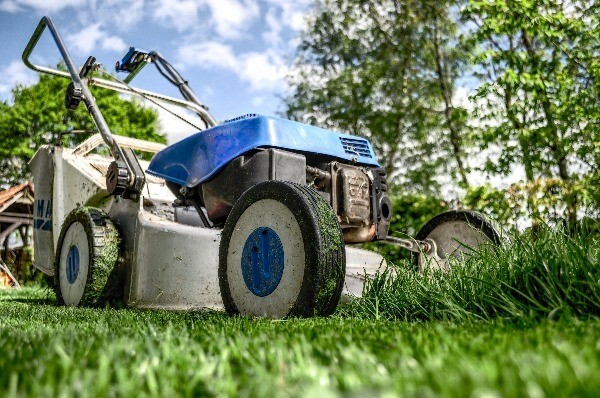 Get all the dried grass out of mower moving parts and from around wheels, and give blades and other metal parts a wipeover with an oily rag. It’ll help discourage rust, and you can do the same with metal tools after removing the surface dirt. Anything with moving parts, such as loppers or secateurs will store better with a light oily coating. Knock any soil residue off spades or forks before putting them into store. Not only will they stay in better condition, it’s far nicer to return to clean tools next spring. Give lawns and grassy areas a last mow, and trim the edges for a neat finish that will last till next spring. Tidy up the flower beds and borders by weeding and cutting back the plants that will stay in place. Doing these chores now will make clearing up falling leaves easier as the autumn season progresses. 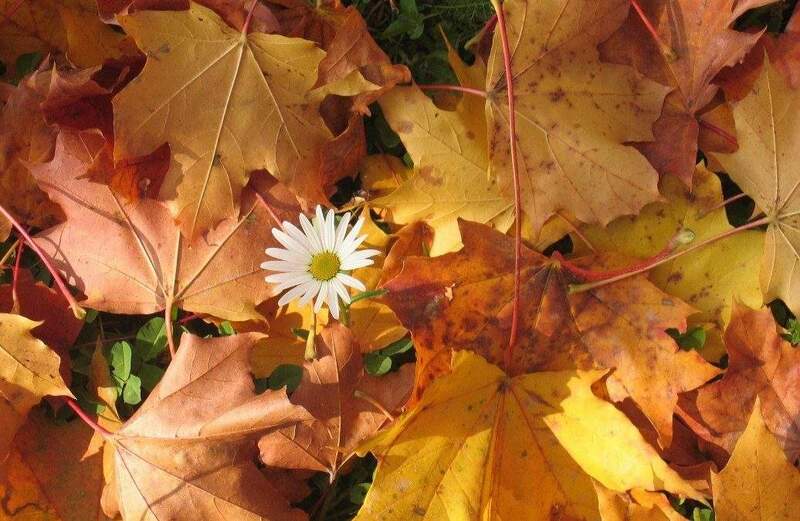 If you normally let leaves lie where they fall, consider raking them up for the sake of your lawn or flower borders. Leaves on the lawn encourage moss, and in flower beds they provide homes for slugs. It’s nice to leave stems with seed pods though, as these help feed birds over winter. If you have plenty of room at home in the shed or garage, that will probably be your first option. But by the time you’ve gathered everything together, there will be quite a lot of equipment to find house room for. You can make more space in your current outbuildings by installing storage shelving or racks on which to hang tools or stow cushions and toys. One thing to bear in mind is whether things will get damp. Even if you’re scrupulous about getting everything dry before storing it, it will still absorb moisture from the air. This can ruin soft furnishings and make tools rusty. If you’re looking for a smart alternative, you could consider self storage for just about everything, from bulky climbing frames or trampolines to small gardening tools. You won’t clutter up the garage so there’s no room for the car, and your outdoor investment is safe because everything is protected from the elements. There are lots of storage unit sizes, so you’re not paying for space you’re not using. Please note this is a sponsored guest post. Stock photos from Pexel.